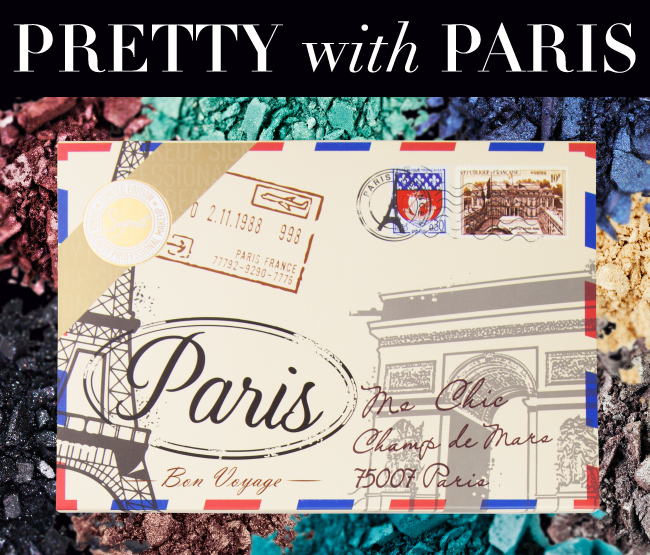 Since its launch in April, the limited edition Paris Palette has come to be one of our most popular items. With eight unique eye shadow shades, two universal blushes plus one highlighter – it's not hard to see why! Today we’re spotlighting what makes this palette so praise-worthy through a few of our favorite YouTube tutorials! We searched YouTube for three various makeup looks created to provide unique ideas on how you can use this palette! First up is the mermaid-inspired look by YouTuber JustEnufEyes! She uses five of the eye shadows plus the highlighter, Lumiere, to create gorgeous and colorful eyes that we can't get enough of! Onto the second tutorial! Tatiana, also known as BeatFaceHoney, uses her Paris Palette to produce a sultry smokey eye with subdued colors. Talk about the perfect look as we transition into fall! Lastly, we have a subtle purple smokey eye created by YouTuber LillianMasie. She uses the two purple shades in the palette, Elysees and Notre Dame. She completes the look with an application of the Peche blush and the Lumiere highlighter for a subtle glow. For more ideas on looks you can create with the limited edition Paris Palette, visit the YouTube channels of the seven gurus who helped make it! - MakeupbyTiffanyD, Petrilude, FrmHeadtoToe, DulceCandy87, Xsparkage, MacNC40 & Xteeener! What's your favorite way to use this palette?